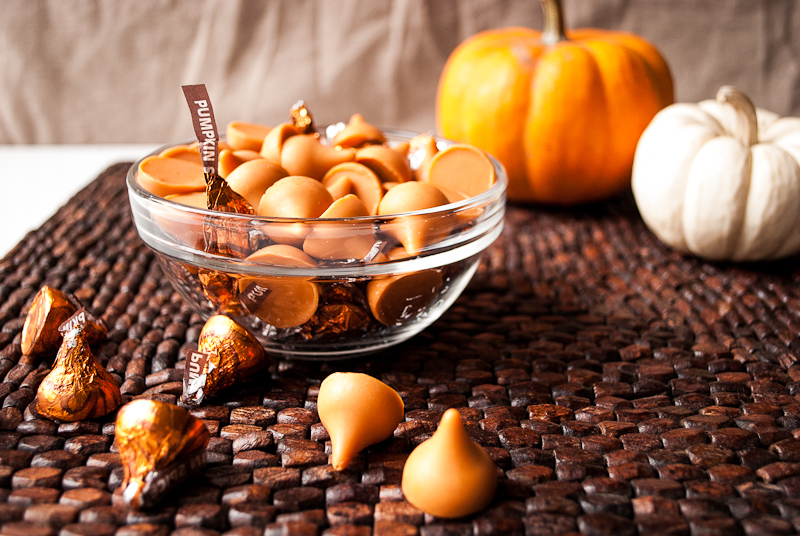 I discovered something new the other day……Pumpkin Kisses! Where have these little orange gems been hiding? This time of year I go absolutely crazy for pumpkin….be it lattes, cookies, cake, bread or pumpkin raviolis- my fav, I go nuts for pumpkin. So when I saw these, I HAD to make something with them. My first thought are those peanut butter kiss cookies, but peanut butter and pumpkin does not sound like a good combination. I thought of my Chocolate Pumpkin Cake I just made, and that’s when it came to me. 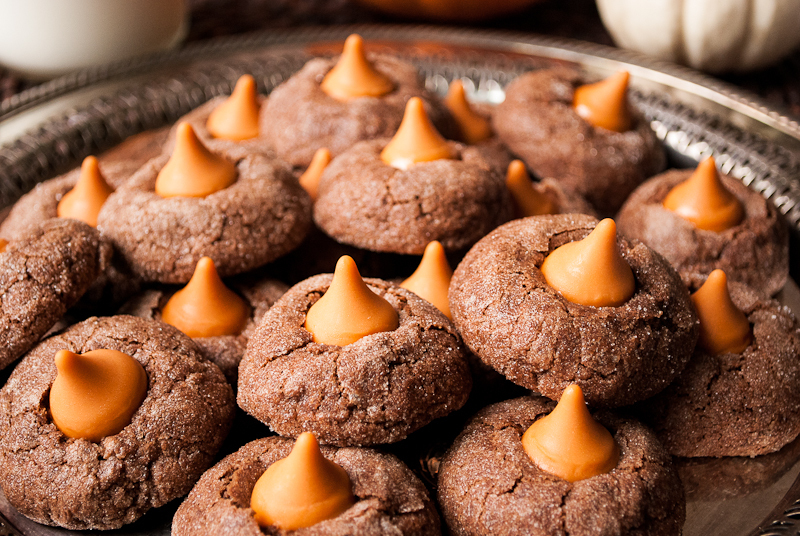 Pumpkin Kisses in a chocolate cookie! 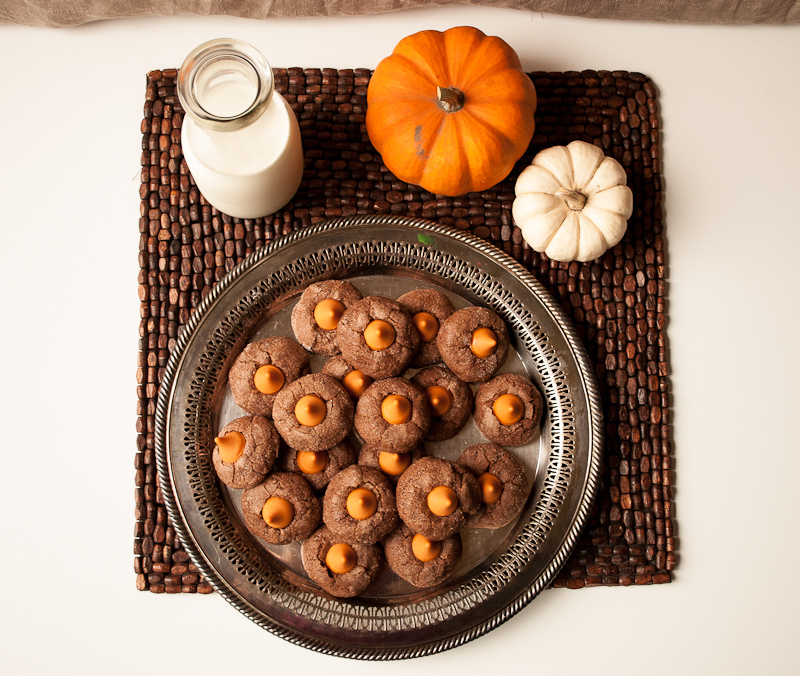 Chocolate + Sugar+ Pumpkin Kisses = Deliciousness!!! The one thing you must do, is freeze the kisses unwrapped in a bowl. I found that they will melt into a orange blob of goo because they are softer than the regular Hershey’s kisses. I also placed the cookies in the fridge for 30 minutes after I baked them to help set the kisses on top and keep their shape. 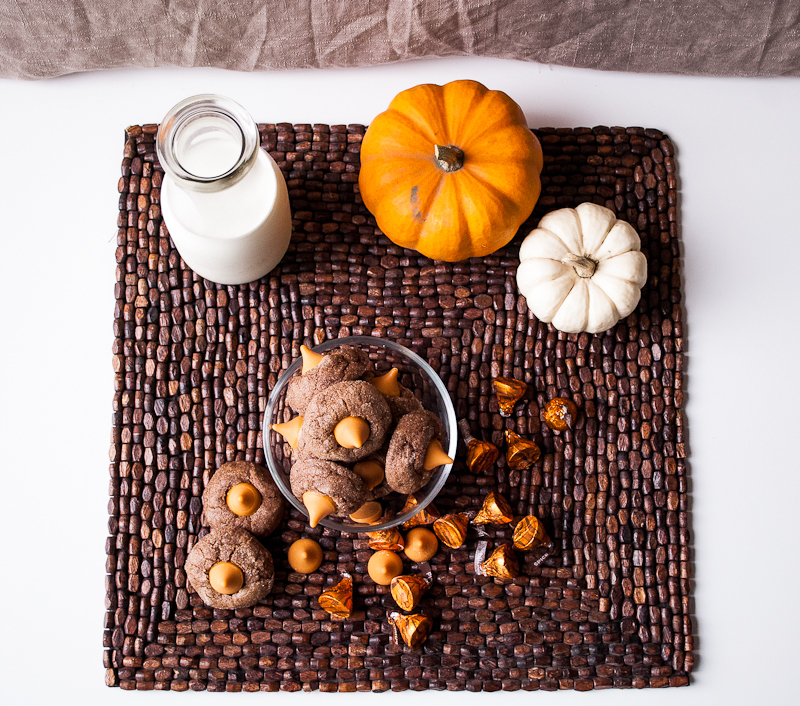 Hurry and buy some Pumpkin Kisses and bake this cookie recipe before the Fall season and kisses disappear into next year. I know I will be buying more and leaving them in my freezer for my” mid-summer Fall craving” of everything pumpkin! Add half the flour mixture to the butter/sugar mixture. Slowly add 1-2 tbsp of buttermilk. Then add the rest of the flour mixture and buttermilk. Mix until combined, dough will be a little stiff but nit crumbly. Add more buttermilk if too crumbly. 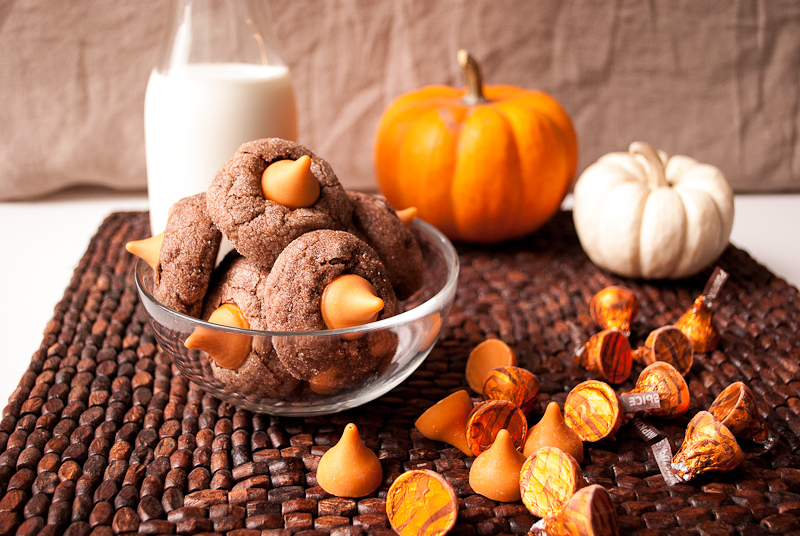 When cookies are done baking, quickly place a frozen pumpkin kiss on each cookie, pushing down slightly. Place them in the fridge for 30 minutes to set kisses. These look fantastic! I hope I am not to late to find the pumpkin kisses!